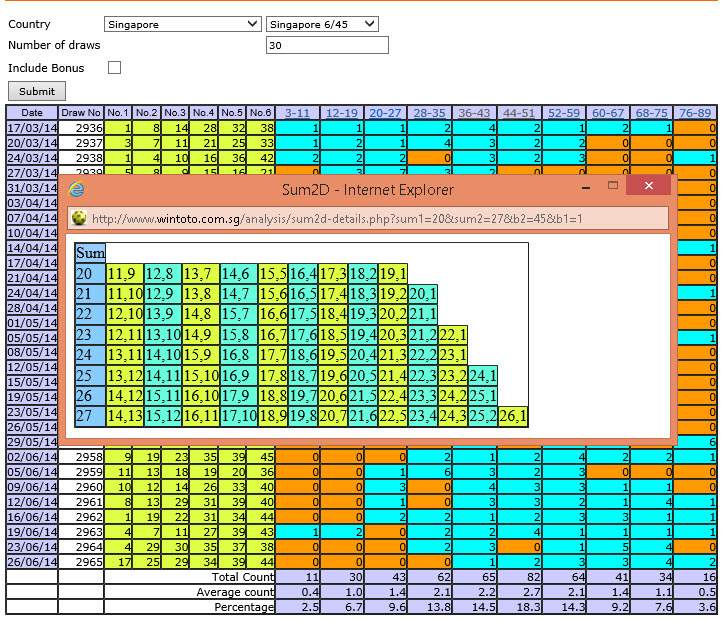 WinTOTO webpage enhancement with new analysis tools. This new tools is very suitable for finding 2 key numbers. By studying the hit patterns of the draw result, you can narrow down your search range for the best keys to play. Go to Analysis tools to use it. Below is a capture image of how this tools look like. Do remember to join our Gold membership to support us.